3D printing is becoming more and more used in the medical industry. This technology is a real game changer, surgeons are really making the most of additive manufacturing. Actually, 3D printing can now be used for knee replacement. We will see how this manufacturing method is enabling new medical revolutions. How could mass-customization and 3D bioprinting really help the medical field to go further? 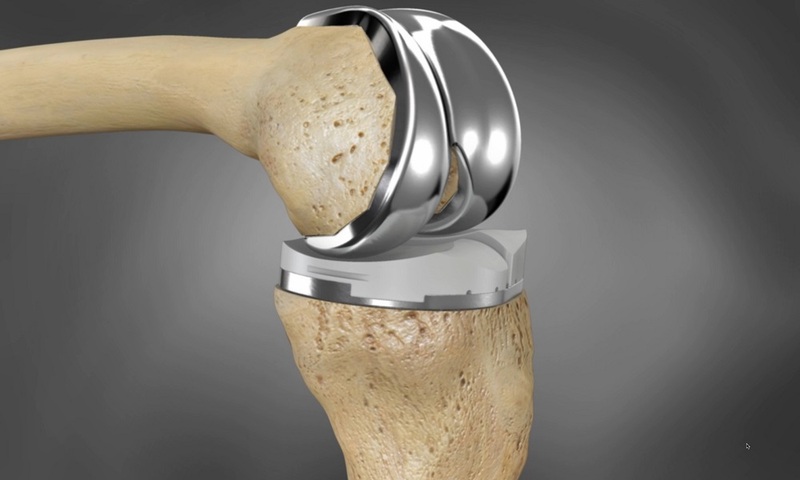 Is total knee replacement surgery possible using additive manufacturing? You will find all the answers to your questions in this blogpost! Additive manufacturing is becoming a great asset for the healthcare industry. As you may know it, 3D printing is an amazing manufacturing technique to create prototypes. Indeed, it is the perfect solution to make many iterations during the development of your product, at a lower cost! It can be used to make some tooling parts for surgeon. One of the customers of our online 3D printing service, Dr Marc Soubeyrand, used it to create his own 3D printed medical tools. One of the most interesting benefit of 3D printing, beside its price and its amazing manufacturing speed, is customization. This technology is allowing to create custom-made devices, which is a big advantage for the medical industry to create parts adapted to the disease and the morphology of the patient! 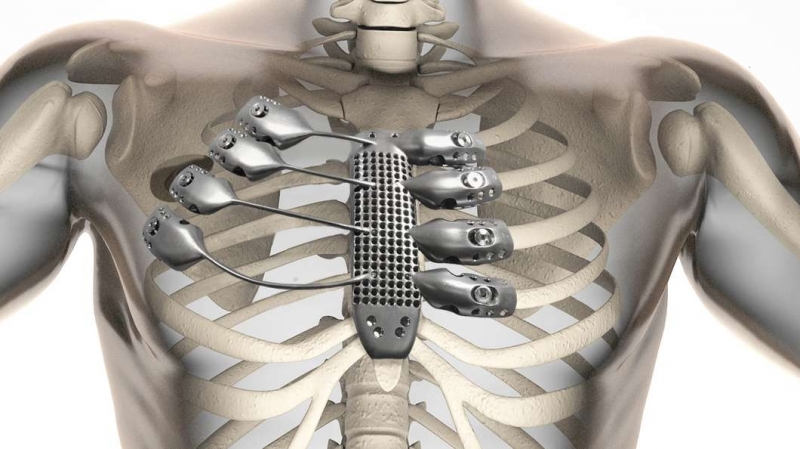 3D scanning is allowing to get parts that perfectly fit the patient. It is becoming more and more common to manufacture implants, prosthesis for humans or even for animals, etc. It makes it possible to get good 3D printed prostheses that have strength and elasticity. Indeed, you can create many different versions of one product thanks to additive manufacturing. You just have to modify your 3D file using 3D modeling software. If you don’t know what software to use for your upcoming 3D printing projects, check out our top of the best 3D modeling software for the medical industry. We saw previously that doctors are now developing devices such as 3D printed sternum, and even 3D printed jaw reconstruction. We can see that now, a lot of medical reconstruction operations are now possible thanks to professional 3D printers. You will see that by combining all of these amazing benefits, doctors are now able to create incredible devices for knee replacement. Different experiments has been made regarding 3D printed knee replacement, from 3D printed cartilage and 3D printed implants, to realignment made thanks to additive manufacturing. 3D printing really allows to create knee prostheses that can replace the mechanical properties of a real knee. One of these experimentations is the creation of 3D printed synthetic cartilage that can perfectly fit the knee joint! This application has been designed by scientists in the US, in Duke University in North Carolina. The goal was to create a material that could match human cartilage, and which had to almost have the same properties: it must have a certain strength, keep a good elasticity, and it has to enable the creation of a part able to absorb shock. This synthetic cartilage has been created by mixing two types of hydrogels. Some clay has been added to actually make it 3D printable. This 3D printed cartilage is not a biocompatible material for the moment, but it could be developed as such in the upcoming years. 3D printing is also used for knee realignment. Indeed, in some cases the cartilage damages are causing pain and makes the patient unable to do sports or any physical activity. Then, a surgical operation is required. Thanks to 3D printing, there is actually an operation developed to prevent patients from total knee replacement: knee realignment using the additive manufacturing technology. From the CT scans of the patients, doctors can create surgical guides or even joints, totally custom-made using 3D printing, and perfectly fitting the morphology of the patient. This way, surgeons can make operations such as osteotomy in order to reduce the discomfort of the patients, using custom-made devices. 3D printed knee implants Companies such as Conformis are also developing the use of additive manufacturing to create implants, using a CT scan of each patient. Conformis knee implants are made possible by 3D printing, and are totally making the most of the custom-made aspect. 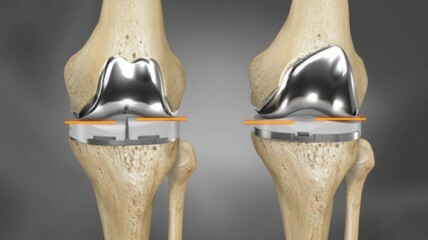 This way, the knee implant entirely respects the morphology and the needs of the patient. This technology can be used for many different knee problems such as bone spurs, cysts or flattening of the joint. How does it work? They are using additive manufacturing in order to create custom wax molds, allowing to make these implants using femoral and tibial components. Get more information about Conformis implants on their website. You still don’t believe it? Watch the video below, a patient is talking about his 3D printed knee replacement! For the moment, the knees are not bioprinted. In the upcoming years, the 3D printing material used for knee replacement could be a bioprinted material, enabling the growth of cells and a fast and natural healing process. These future 3D printers will certainly be able to print really accurate knees that fit exactly the unique anatomy of the patient and that enable the development of stem cells. Patients knees could be soon entirely 3D printed thanks to this new way to operate knee surgery. If you want to read more about the current advancements of 3D bioprinting, be sure to check our blogpost. We can see everyday that the applications of 3D printing are more and more diverse. From 3D printed implants to bioprinting everything is becoming possible. Even just for knee surgery, we can see that 3D printing can be used of several manners . Want do you think about this medical experiment? Share your view with us in the comment! And if you are thinking about choosing 3D printing to manufacture your next medical project, you can totally use our online 3D printing service. Upload your 3D file right now, you will see that we are giving you access to amazing biocompatible materials such as the Carbon’s resins. If you want to get more information about medical 3D printing, be sure to subscribe to our weekly newsletter.